In my previous blog post I explained what being self-sufficient meant to me. Apart from farming and securing our own food and water supplies, I briefly touched on being debt-free and investing. One thing I didn’t mention was cryptocurrencies. 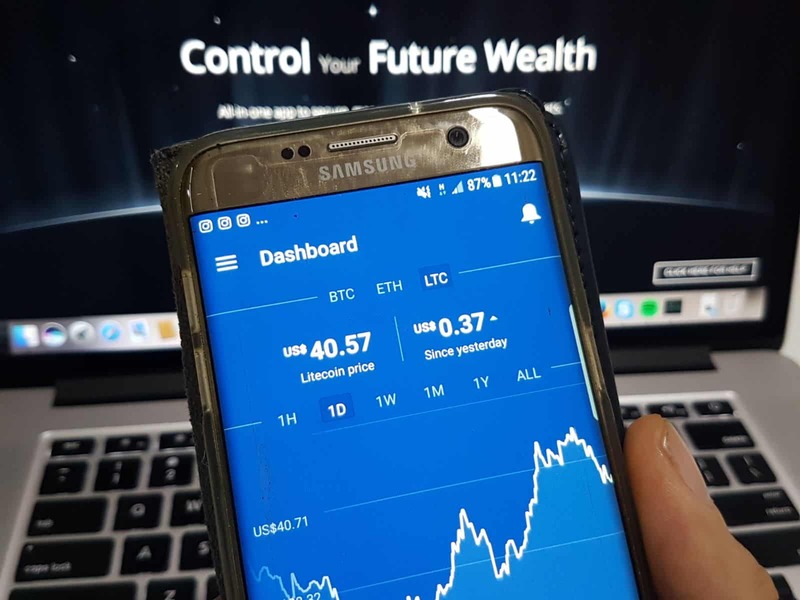 I only know a handful of people who know anything about cryptocurrencies and I believe It’s a such a huge game changer, like mobile phones, the Internet and AI, so I thought I’d share my my take and journey in to the world of cryptocurrencies right here on Thinglish Lifestyle because more people need to get up to speed with this technology and free themselves from the shackles of the central banks. I would strongly encourage you to research and educate yourself on cryptocurrencies. The markets can be very volatile with wild swings in either direction, but if you choose to invest, only invest what you can afford to lose. Personally, I do not day-trade cryptocurrencies, I bought a basket of currencies by dollar averaging and hold for the long-term gains (or losses). Disclaimer: I’m not a financial advisor. I’m just writing about my own experiences. If you decide to get into investing in the cryptocurrency space it’s at your own risk. Man up, you alone take ownership of your actions. What goes up goes down and past performances are no indicator of future performance. Speculate at your own risk. Got it? Cool! A cryptocurrency is a decentralized and an alternative means of payment and/or store of value. Bitcoin, the first cryptocurrency first emerged as a side product of another invention by Satoshi Nakamoto, he never actually intended to invent a currency. In his announcement of Bitcoin, Satoshi said he developed “a peer-to-peer electronic cash system“. His goal was to invent something many people failed to create before digital cash. “Announcing the first release of Bitcoin, a new electronic cash system that uses a peer-to-peer network to prevent double-spending. It’s completely decentralized with no server or central authority”. – Satoshi Nakamoto, 9 January 2009 – SourceForge. All centralized attempts to build digital cash systems before Satoshi had failed but by building it as a file sharing network (Blockchain) he succeeded and gave birth to cryptocurrency. A Blockchain is like a spreadsheet that is duplicated thousands of times across a network of computers. This computer network is designed to regularly update the spreadsheet. It is an incorruptible digital ledger of economic transactions. For more technical explanations of cryptocurrency and blockchain technology visit Blockgeeks. My radar picked up on cryptocurrencies a couple of years ago but I didn’t understand it and was too busy doing other things (buying land and building a house) to educate myself about it. As a bullion investor I also saw it as another form of fiat currency with nothing backing it. How uniformed I was! Earlier this year things had changed and I revisited the crypto space again. After seeing what happened to people’s life savings overnight in Greece, Cyprus, Venezuela and Porto Rica I knew entrusting a bank with your money wasn’t a wise decision. Not only can the banks close their doors and turn off their ATM’s overnight, cutting off your cash supply but they can also bail-in your account funds to keep their sinking ship afloat a little longer. There is also a world-wide drive to make it illegal to use cash (UK – India). Of-course we are told these attempts to control money is for our own good, to stop the drugs trade, terrorism or corruption (Governments want a monopoly on all these things!). Find out what Fiat Currency and Fractional Reserve Banking is. They didn’t teach you this in school, I wonder why? No is the time to educate yourself on the future of money! So, by my reasoning, if I trust my cash deposits with the bank I could realistically wake up one bright morning and have no access to my money. This precedent has already been set in the countries I mentioned earlier in this post (I bet no one in these countries thought it could happen to them). By any definition, that would make us slaves to the banking system. By building a house and owning land, art and bullion limits my exposure to these banksters and investing part of my portfolio into cryptocurrency is a natural progression of my inherent desire for freedom. Yes, crypto currencies are digital money but they are not owned or controlled by central banksters. So, if the governments want us to stop using cash I’m all for that, but I’ll use a decentralized system outside of their centralized system. If everyone did the same we could bring these warpigs down and the world would be a better and more peaceful place without them. How Do You Start Buying Cryptocurrencies? 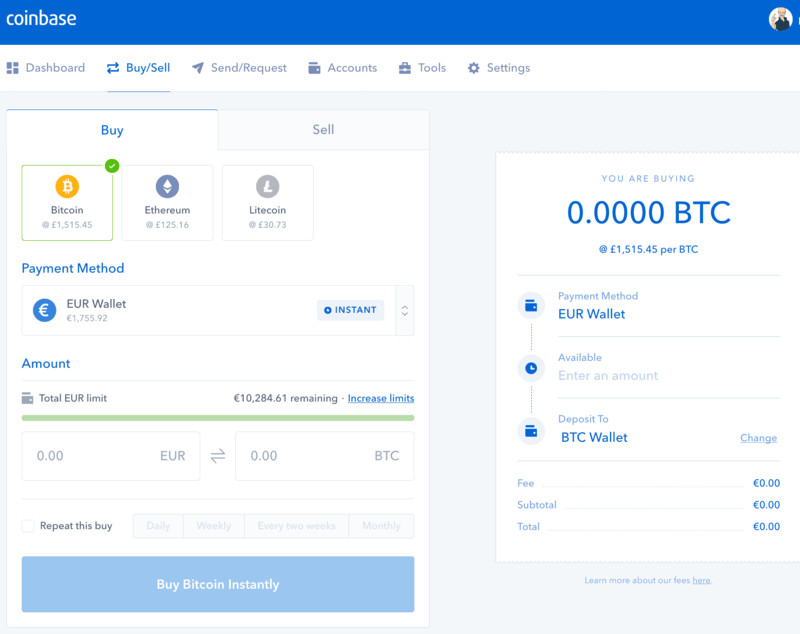 To get started you will need to connect your bank account, debit/credit card with a digital currency exchange so you can purchase some fiat currency for cryptocurrency. I would recommend starting with the service offered by Coinbase. It’s as easy as 1, 2, 3. To register on Coinbase you will need to have your name, address, bank account details and a form of ID such as a passport at the ready. Once Coinbase has verified your ID and connected your bank information to your account you can purchase Bitcoin, Ethereum and Litecoin using your local fiat currency. I would start small until you are comfortable with the purchasing mechanics. You don’t have to buy a whole coin. You can purchase a small part of a coin – 0.00000001 for example. 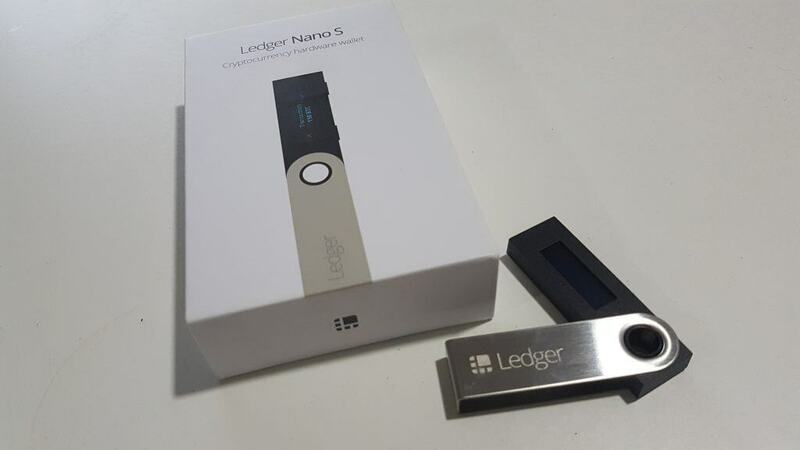 Once you have purchased your cryptocurrency you should obtain a ‘Wallet’ to store it in. Why? Learn more about security and all that good stuff here. You can get a secure wallet from one of the many service providers currently available online, Exodus Wallet or MyEtherWallet are two for a start. However, the most secure place to store your cryptocurrency is offline. I store mine on a Ledger Nano. You could stop there once you have bought your cryptocurrency of choice. Keep in in a safe place and forget about it until you need it for a rainy day or retirement. However, you can also trade cryptocurrencies. There are currently nearly a thousand cryptocurrencies to choose from at the time of writing. Some good, some bad and some you don’t want to touch with a barge pole. Again, it’s always good to do your own due diligence and research, and research again before investing in any cryptocurrency (it’s not like buying a bar in Thailand!! 555). Thankfully, there is a lot of information and white papers on credible cryptocurrency websites, Reddit, Google and Youtube etc. Just turn up your BS detector to eleven and remember if anything looks too good to be true… it’s a ladyboy!. I have invested in a handful of cryptocurrencies based on price point, the project, who is behind the project and their white papers. If it sounds like an interesting idea and I can get behind and believe in it, I make a small investment and then follow up with a larger stake(s) if I’m still confident. This is known as dollar averaging or hedging your bets. I then tend to hold my investments for the long term. It is possible to start day trading, buying currencies at a low price hoping it will rise and then selling it on, making a tidy profit. But beware, there are many pump and dump schemes out there, so don’t gamble with your life savings. Studying charts, researching and generally spending a lot of time doing this kind of thing on a daily basis isn’t for me. Trading is akin to gambling, it can also be quite addictive so again, make like a flying insect in a dress, beware! To buy and sell cryptocurrencies you will need to go to an exchange. Poloniex, Bittrex and CoinExchange are my three preferred exchanges. Another way to invest in Cryptocurrencies is by taking part in an ICO – Initial Coin Offering. An ICO is very much like a IPO (Initial Public Offering) but without the government regulation. It’s very high risk game. The project you are investing in may never come to fruition. You could easily lose all your initial stake. Again, it’s wise to do your own due diligence and find out who is behind the project and what, if any successes or failures they have had in the past. Don’t listen to the hype. As always do not invest any more than you can comfortably afford to lose. That shirt looks good on you! I think everyone should invest a little in cryptocurrencies. We are at the beginning of a very interesting time in our lives and the development of the blockchain. As the blockchain technology protocols and applications advance and more people start to invest in this sphere the price will rise and fortunes will be made (and lost) for the early adopters. If you made it to the end of this post, Thank You! I know it’s a little off topic to what we usually write about on our blog. I would recommend continuing your education on cryptocurrencies and the blockchain. It is a fascinating subject whether you decide to invest in it now or not. It’s here to stay and it is certainly not going away as long as we have the Internet. Got something to add? Leave your comments below. To get back to our usual fruit and nuts photos, follow us on Instagram. Hi Perry, just read your blog on Crytocurrency – fascinating! I run a micro business in the U.K. And like to think I’m financially/investment savvy – but your blog article opened my eyes. I’m visiting Koh Chang with my family. We’ve been down south in Salak Phet for a week and now have a week in Klong Son Bay. I’m finding my time in Koh Chang quite liberating, with time to read interesting stuff – like your blog. I also watched an article on EuroNews yesterday about Swedens adoption of a 6 hour work day. In summary, it makes me realise that we are work/mortgage slaves in the U.K and I’m carefully considering how I can create an ‘alternative’ lifestyle. This may be in UK, Europe, or even somewhere more exotic like Thailand? Great to hear to liked my cryptocurrency blog post. Really appreciate your kind comments. There are lot’s of possibilities out there for those who look, we certainly don’t have to restrict ourselves to the place we were born.